I was in the mood for a little bit of foundation piecing on the weekend. Do you ever just get into those sorts of “moods”? I wanted make something which would utilise some of my scrap tub, so I decided that what ever I foundation pieced needed to be scrappy. The end result was this Scrappy 8 Point Star Block, made solely with fabric scraps. 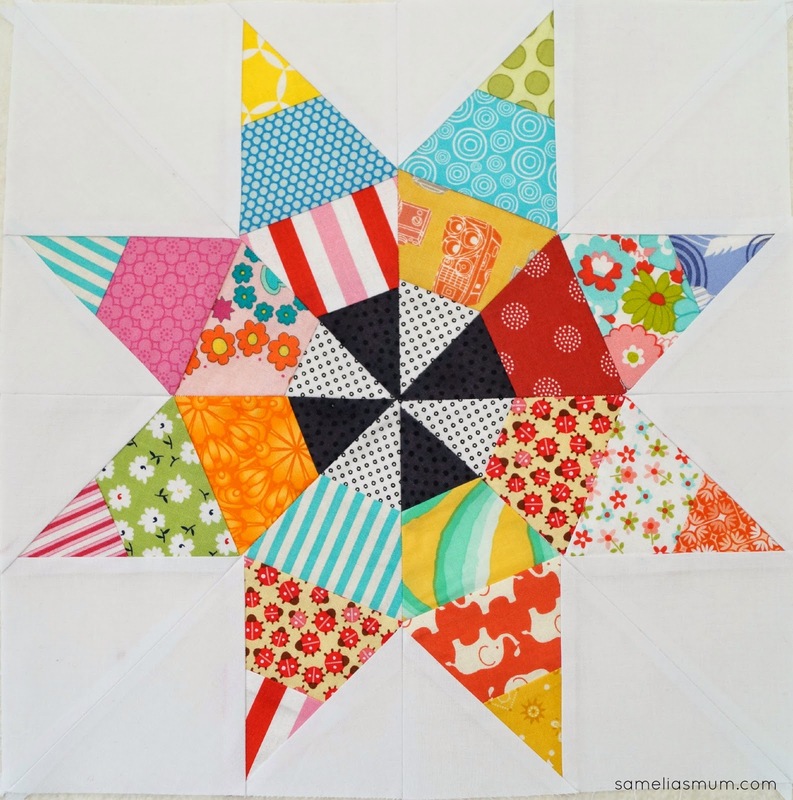 Can you imagine how bright and fun a Scrappy 8 Point Star quilt would look? Little pieces of your favourite fabric scraps, incorporated into a formal block. 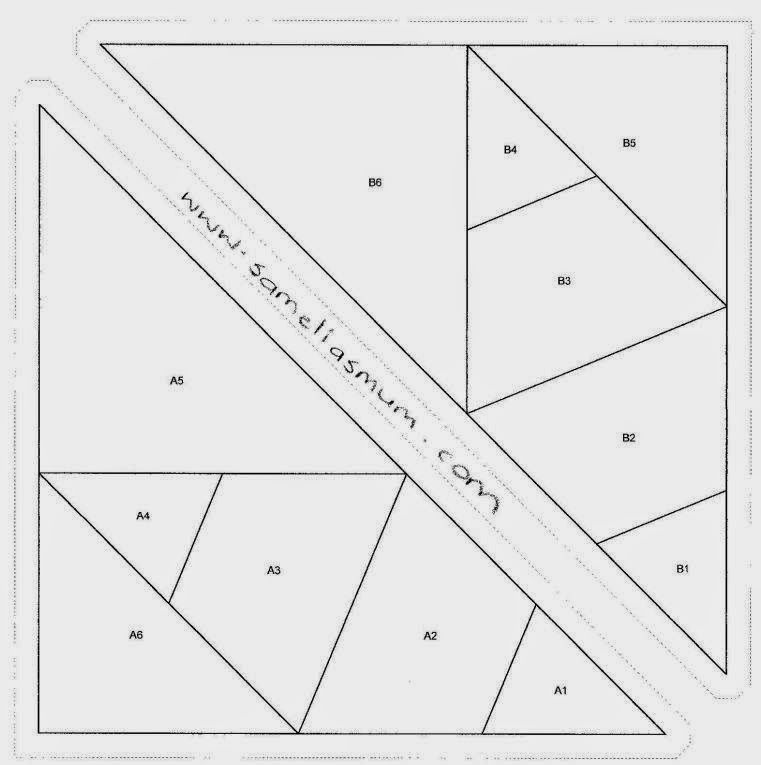 If you’d like to have a go at making this block, download the foundation templates HERE. To make the star, you will need to make 4 x A templates and 4 x B templates. Once all pieced onto the paper, each A template is joined to the left hand side of a B template. These 4 smaller pieced blocks are then all joined together to create the star block. I haven’t created a full tutorial for this block, but if you’d like one, please leave a comment and I’ll take photo of each step next time I make a Scrappy 8 Point Star block. 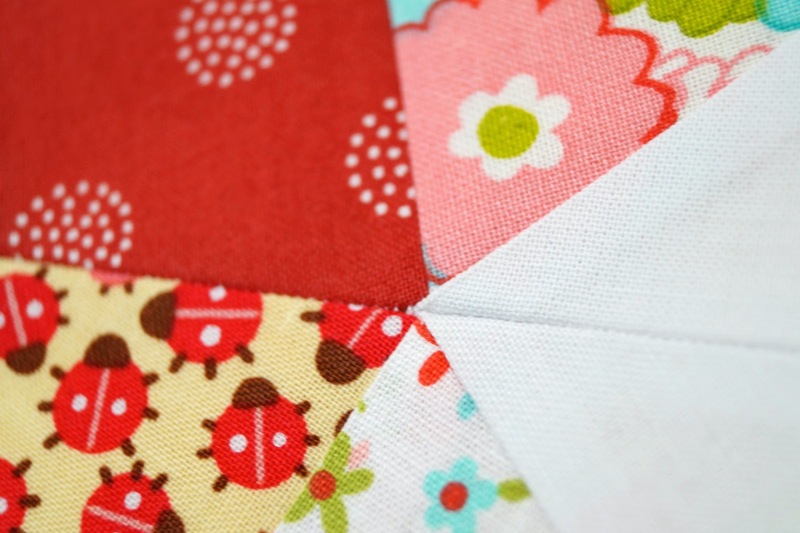 Get into the mood for some foundation piecing and make a block today. If you do, make a Scrappy 8 Point Star Block, please share your pictures in the 52 Week Scrap Challenge Facebook Page. We’d all love to see your work. Love your star block. I've been wanting to try FP for a long time. I think this is the block for me to try - wish me luck! Would love to see you do a tutorial on this one. Would love to have a tutorial. Have not tried foundation piecing yet. Hi Anorina love this lovely FP scrappy. I have tried my hand at FP but not so good. Would like for you to do a tutorial. Thank you for sharing! I'm away at the moment but will get a tutorial up on my blog in the next few weeks (after the school holidays).